Having had a private school education all of her life, Ms. Fong learned early on that teachers have the power to impact a child’s life. She remembers vividly a number of her teachers growing up who inspired her to push hard, to excel, and see that education was for her own value. It was those moments that stuck with her as she reflects back to how she wants to impact her own students. Completing her undergraduate degree at UC Berkeley with a Bachelors of Arts in English and a Minor in Education from UC Berkeley, Ms. Fong credits her desire to pursue teaching after becoming a literary coach. During her college years, she wanted to serve her community and felt that if students knew the power of their language, the love for learning would follow. Relishing in the time she had helping students discover joy in reading, teaching them how to communicate effectively through writing, Ms. Fong knew that teaching would be her ultimate destination. She continued on to earn a Masters of Arts in Education and her teaching credential in English Language Arts at Stanford University. 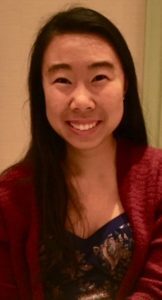 A heart of young people, Ms. Fong currently teaches 9th grade English and a 12th grade Expository Reading and Writing Course at a local private school in the area. Assisting students through understanding how to perfect their written and oral language with precision, poise, and intention, Ms. Fong keeps her classroom doors open to help any student who comes her way. In addition to teacher, she also supports students through their career and academic endeavors. In her free time, Ms. Fong enjoys cooking food for her family and trying out new types of recipes. She is excited to be a part of the amazing team of educators at Mill Creek Academy!